Alan Zhou and Roland Lu, the owners and operators of Shenzhen Welnavi Technology Co., LTD (“Shenzhen Welnavi”) factory in Shenzhen, China, who police determined illegally programmed pirate IPTV boxes in Shenzhen and marketed and sold them around the world under the “Filstream” brand, were arrested and charged with copyright infringement by the Shenzhen Police on Wednesday, local time in Shenzhen, Guangdong, China. Two senior programmers at the factory were also arrested and charged in connection with the matter. All those arrested are expected to remain in custody pending trial which is likely to take place next year. The Shenzhen police team conducted a raid of Shenzhen Welnavi on February 28, 2017 and the company’s servers and business records were seized as part of the police team’s criminal investigation of the illegal distribution network. The arrests in China were the culmination of an eight-month long worldwide investigation spearheaded by the Philippine media and entertainment network ABS-CBN. To date, the investigation has resulted in the arrest and seizure of Filstream box distributors in Illinois and Florida. The criminal arrest and prosecution of additional distributors in multiple locations around the United States and Canada is ongoing and expected within the coming weeks. Arrested together with Zhou were Roland Lu and two programmers, who were all charged with copyright infringement with a maximum penalty of seven years in jail. Zhou, Lu and the two programmers, are expected to stay in jail until trial which is to begin in about a year. Shenzhen Welnavi has been fully shut down. Lawrence revealed also that ABS-CBN plans to continue to initiate and enforce criminal and civil actions against anyone who steals its movies and TV shows and offers them via IPTV box, free websites or on Youtube, Daily Motion and Facebook. “ABS-CBN spends millions of dollars each year producing these TV shows and movies and we will not allow these pirates to give them away for free,” Lawrence explained. ABS-CBN Global COO Raffy Lopez was very clear about the company’s stand against piracy. 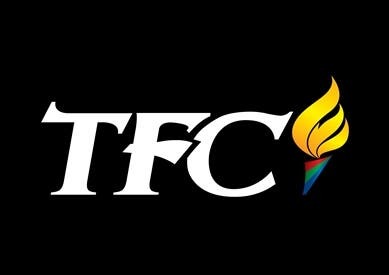 As the Filstream signal has been shut down, for all victims who purchased the Filstream boxes, call 1-866-746-6988 now to receive one month FREE TFC subscription or visit www.tfc-usa.com/tfcbox for details. Global Kapamilya Summer of Love, Fun and Extravaganza Wraps Up with a Bang!